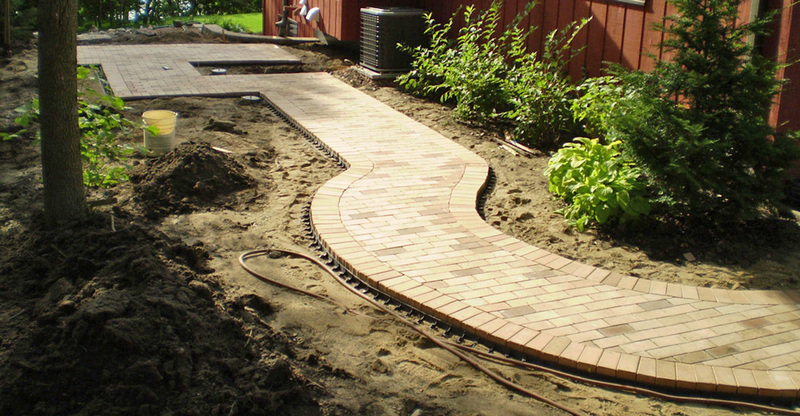 The first name in hardscape edging. 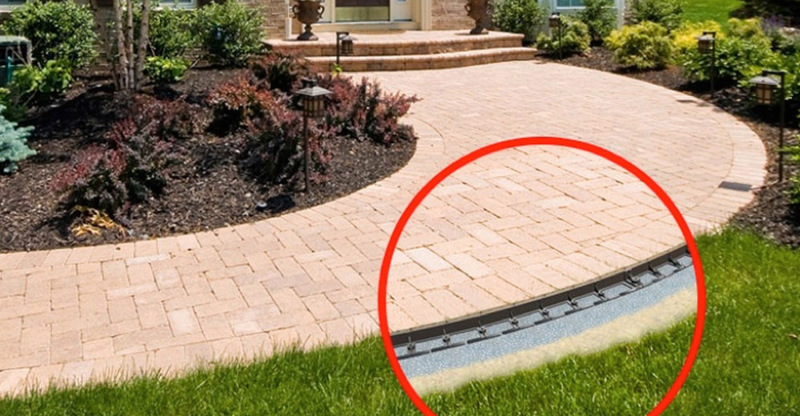 Edge restraints secure the hardscape system and are a necessity in any hardscape project installation to keep it looking beautiful through the years. 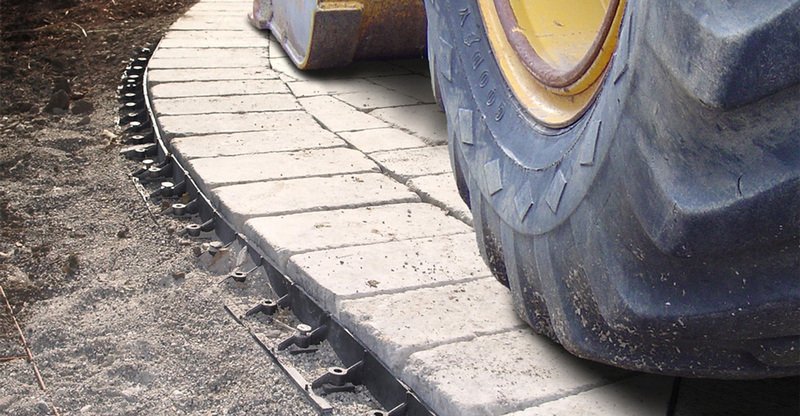 To avoid the high cost of paver edge restraint failure and ultimately protect your reputation, carefully consider the many factors that affect the edge restraint’s performance over the lifetime of a paver project. Design features make a difference! Original Snip & Flex design eliminates need to carry a rigid and ex model. 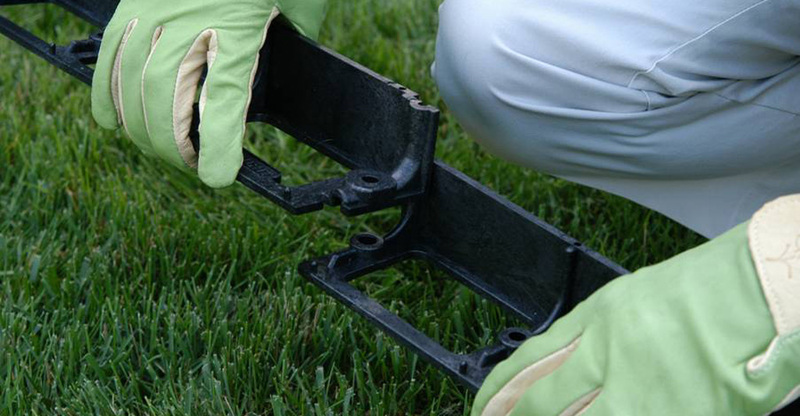 Injection molded design, incorporating features that provide strength and stability. Strong interlocking joint held together with a spike to make a secure connection and provide maximum support. 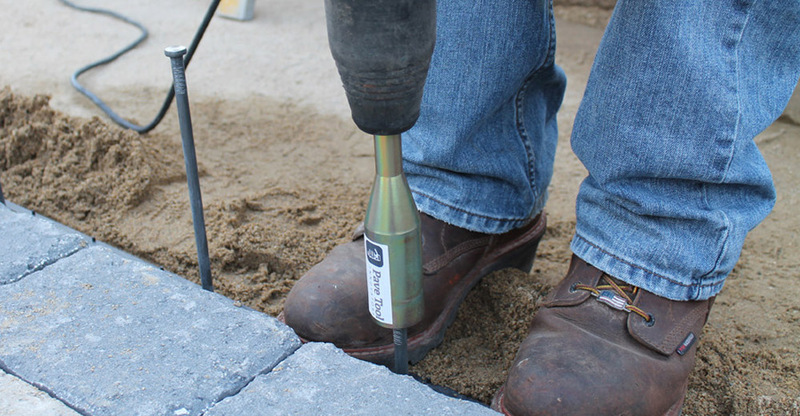 Reinforced spike bosses centered on footing securely hold edging in place, better than any other edge in the world. Open base design allows for healthy grass growth along paver edge creating a strong yet invisible edge. Made of 100% recycled HDPE (High Density Polyethylene): Resists warping, twisting and breaking, even after exposure.